Losing a loved one is one of the most emotionally challenging events we face in life. In addition to the grief and heartache, there are many financial implications with which to contend that can be complicated by family relations and whether or not the person had his/her estate plan in order. One of the greatest gifts you can give your loved ones is to be proactive and well organized in not only preparing your estate plan, but in communicating your intentions to your beneficiaries. Right down to the music you want played at your funeral, every detail you think through in advance will relieve the burden from those left to handle your estate so they can focus on mourning and honoring your wishes. Much of the preparation will involve your financial advisor and trusted tax and legal professionals in terms of organizing the proper legal documents, titling of accounts, etc. In addition to relieving some of the stress on your beneficiaries, having an estate plan can save your heirs from paying significant taxes and costly probate proceedings. Recent high profile individuals such as Aretha Franklin, who passed away without a will in place, are an example of Uncle Sam collecting an undue share of assets, not to mention that the probate of person’s assets is made public. If you don’t have a will, state laws will dictate where your assets go. While your financial assets are important, you should also document who you want to take care of your kids and pets in the event of an untimely passing. If you have children with disabilities, you will want to consider the best way to care for them in your absence. It is also helpful to communicate how you would like to distribute sentimental items and family heirlooms. You may name specific individuals or suggest another method for fair distribution. Depending on the size of your assets and your specific intentions, your advisors may suggest that you create a trust that can be used to minimize the tax burden on your estate. If you have any signs of mental or physical disabilities, it’s important to name the people you would like to make decisions in your place through a Power of Attorney and/or Successor Trustee. An estate planning attorney will help guide you through your options and then prepare the proper documents. Discussing and planning for your own death or that of a loved one is not the easiest topic to bring up with family and many people avoid the conversation altogether. While understandable, avoidance can cause serious financial complications. At a minimum, your spouse and other heirs should know where all of your assets are held. We suggest making a list with all assets and related contacts so that your beneficiaries will have one place to look in the event that you pass away unexpectedly. Be sure to include the location of things like your safety deposit box key so that they can access its contents. It’s also helpful to communicate the names and contact information for your estate planning attorney and CPA to your financial advisor, and vice versa. All too often, we see clients who have unintended beneficiaries, such as ex-spouses, listed on retirement accounts. You should regularly review the beneficiaries you’ve named on all IRAs, 401ks, 403bs, life insurance policies, pensions and annuities to ensure your current wishes are accurately reflected. In a similar fashion, you should review your life insurance coverage to make sure the amount is in line with your current financial and estate plan. You will want to make sure that your brokerage and checking accounts are titled so that they directly reflect your intentions specified in your will. Improper titling can cause delays not only in the transfer of assets to your spouse and/or other surviving beneficiaries, but in their ability to access the funds to pay outstanding bills, funeral costs, etc. There are few benefits to the element of surprise when it comes to leaving an inheritance, and since emotions will be running high as is, it’s best to communicate your intentions in advance. 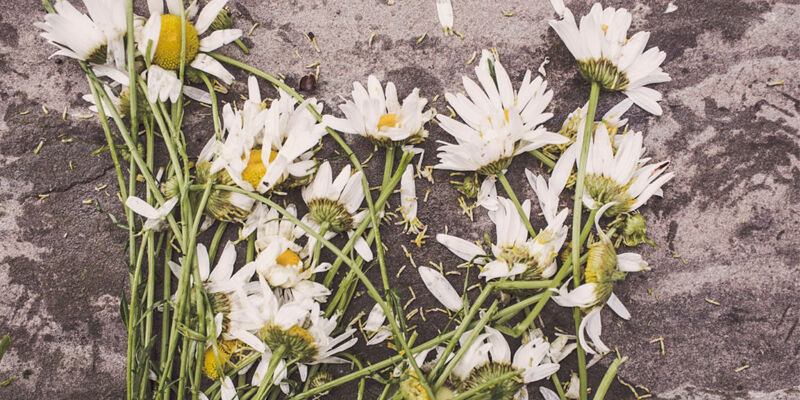 Depending on your family dynamic, death may have unintended interpersonal consequences. This is especially true if there is a second marriage and children involved. You will work hand in hand with the estate planning attorney, so it is best to clearly identify who is taking care of what, as well as an expected timeline. Even the most organized estates take several months to process. In addition to any wills and trusts, one of the primary items you will need when your family member dies is a death certificate. It is a good idea to obtain a number of copies as you will need them to claim benefits and close accounts. Once you have copies of the death certificate, notify the insurance company and file a claim. This should be a fairly quick process in most cases, especially if you are the named beneficiary. You will need to stop using any credit cards you share with the deceased. If you don’t have a credit card in your own name, you will need to apply for a new card. If the deceased was still employed, you will want to inform their employer, as they should be able to help you collect any wages owed, vacation and sick pay, as well as insurance benefits. The HR department will also help you roll over any existing retirement accounts. Depending on your situation and the age of the deceased, you may be able to collect Social Security benefits for yourself. If you have children younger than 18, they may be eligible for benefits. Depending on the details of the estate plan and whether there is a surviving spouse, you may need to change account and asset titles. If you have loans in the name of the deceased, you will need to notify the lender of their passing. The lender may require a death certificate before they will speak to you. Hopefully someone has a key to the safety deposit box. If so, this is a good time to review the contents. This is a time to rely on your professional advisors, especially if there are complications and/or surprises with your loved one’s estate plan. It’s likely they’ve seen similar situations and can help you navigate the process and guide you through any necessary decisions.